In a small lab, near a lake at the edge of West Berkeley, sits the prototype of what could revolutionize battery power as we know it. The secret to this power? Algae. OK, just hang with me here. Lots of research has already been done on algae’s possible power capabilities. Prototype creator Adam Freeman says this new kind of battery, the one he’s working on, could power even a Tesla. And he says it could do it 200X greater than the current lithium-based battery used today. He’s created a research company called alGAS that aims to prove just that. Freeman says the algae battery also charges faster and lasts longer than current ion batteries used in, say, your cell phone, iPad… or a Tesla. As Freeman explains, paper-thin fibers in algae provide an easier surface for ions to get through, resulting in a charge in as little as 11 seconds, not minutes or hours. Previous tests prove algae has a charge and could theoretically work as battery power, but what’s not known is how much of a charge and how much of it will be needed to power, say, a car. Freeman believes he’s figured out the answer. What he needs now is the funding to bring it into mass production. 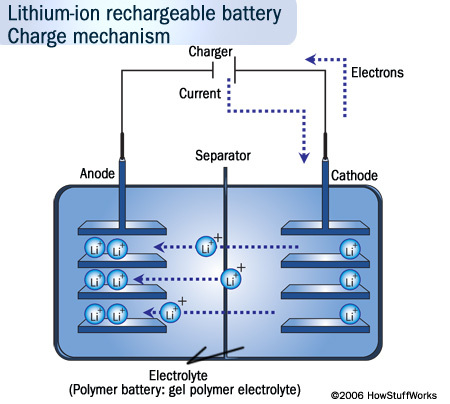 Those materials currently used in ion batteries (cell phones, etc.) — 95 percent of which are shipped from China — are hard to extract. This makes them quite expensive. Tesla pledged to use U.S. materials only, which does cut the cost. Still, it’s got to be more than what it costs to grow and use algae powered batteries, right? Right, according to Freeman. He says he only needs $1,500 for the prototype and that he can have his algae battery ready for mass production for a mere $5,000 by this summer. The implications for this go beyond cars. In theory you could power your entire house. Yes, a living, breathing algae plant could make your house “go.” A French biochemist already powered a streetlight with the stuff. What makes Freeman’s prototype different from previous tests is the use of a bio-safe polymer. The polymer is a critical element that binds the fibers together to create a better interaction with the electron charge. While the prototype is still basically just a bunch of jars full of algae on the shelf of some lab, the potential, according to Freeman, is very big.